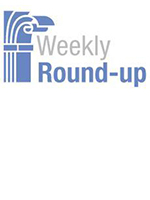 Articles from across the Web that we at the IBM Center for The Business of Government found interesting for the week of April 9-13, 2018. IRS chief may be overselling tax IT modernization. Acting IRS Commissioner David Kautter told a House panel that the agency has made significant progress on legacy system CADE2, but that conflicts with recent statements from the CIO. ODNI looks to separate CIO, CDO shops. The intelligence director's office is mulling a new approach to CIO and chief data officer roles that stresses more efficient acquisition. Grants managers see promise in the GREAT Act, but say it could be even ‘greater’. Members of the grants management community see an opportunity to take a new piece of legislation designed to improve the grants management process from good to “great.” The Grant Reporting Efficiency and Agreements Transparency (GREAT) Act legislation would help agencies better track hundreds of billions of dollars a year in federal grants, in an effort to free up more time to measure and manage those programs and their performance. The legislation tasks the Office of Management and Budget to create standard data elements for the information that federal grants recipients must report back to agencies. The grants management community seems to be on board with the GREAT Act, but many say they see opportunities to take the legislation even further. How to be Decisive. All leaders must make courageous decisions. It goes with the job. You understand that in certain situations, some difficult and timely decisions must be made in the best interests of the entire organization. Such decisions require a firmness, authority, and finality that will not please everyone. New Week on The Business of Government Radio Show: Trevor Brown, Executive Director, State of Ohio Leadership Institute and Dean of the John Glenn College of Public Affairs at The Ohio State University. How can we hone political leadership? What is the mission of the State of Ohio Leadership Institute? How is it developing the next generation of Ohio’s elected state and local leaders? Join host Michael Keegan next week as he explores these questions and more with Trevor Brown, Executive Director, State of Ohio Leadership Institute and Dean of the John Glenn College of Public Affairs at The Ohio State University.